William J. Lindenmuth of Mt. Carmel passed away peacefully on Sunday, February 3, 2019 at his home with his daughter Kathleen at his side. William was born to the late Russell and Adeline (Taminski) Lindenmuth on November 9, 1934 in Mount Carmel. He was the younger of two sons and is survived by his brother John Russell Lindenmuth. William was married to Mary Ann (Dobson) Lindenmuth for 31 years, who preceded him into eternal rest on October 24, 2016. Bill grew up in Mount Carmel and attended Holy Cross School. Bill served his country in the United States Navy where he was a Seebee. He attended Lincoln Chiropractic School in Indiana and graduated with a Doctorate Degree in Chiropractor Medicine. Bill had a practice in Philadelphia but his primary employment was with the Philadelphia Fire Department where he served twenty-five years. After his retirement he and his wife Mary Ann loved to travel and lived in Port Isabel, Texas for ten years. They never traveled without their constant companions Sammy and Hammy. Upon returning to Mount Carmel, Bill pursued his other hobbies of fishing and hunting, but particularly his craft of woodworking. He was known for his excellent carpentry skills and made furniture such as beds, desks and cabinets for his sons, daughters, and friends. In between these activities he also loved to cook and smoked various foods. Bill was a member of the former Holy Cross Church and a member of the Church of Our Lady of Mount Carmel where he loved participating in the choir. He was also a member of the Veterans of Foreign Wars Post 2110 and the American Legion Post 91 and local hose companies. Bill was a caring man who would help his family and friends in times of need and was always there to give his advice. His dedication and loyalty to his family and friends will be greatly missed. 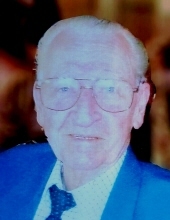 William is survived by his three sons and two daughters; William J. Lindenmuth of Philadelphia, James J. and Thomas R. Lindenmuth of Mount Carmel, Kathleen Lutz and Christine Perez both of Mount Carmel, a loving step-daughter Michelle Gallagher of Oak Ridge Estates, twelve grandchildren and four great grandchildren. To send flowers or a remembrance gift to the family of William J. Lindenmuth, please visit our Tribute Store. West Third Street Mt. Carmel 17851 Pa.
"Email Address" would like to share the life celebration of William J. Lindenmuth. Click on the "link" to go to share a favorite memory or leave a condolence message for the family.